Jk1 aka jk is an Australia based, Caucasian patient. He is also a veteran forum poster. He underwent a FUSE procedure and visited us 15 months after his procedure. He is a young patient desirous of a youthful NW 1 ish hairline but still retaining the ability to buzzcut. The following pictures document his progress. -after with buzz cut pictures in serialized posts. We believe using Flash can distort the picture. None of the pictures have been taken with flash. They are all under bright indoor flourescent lighting. 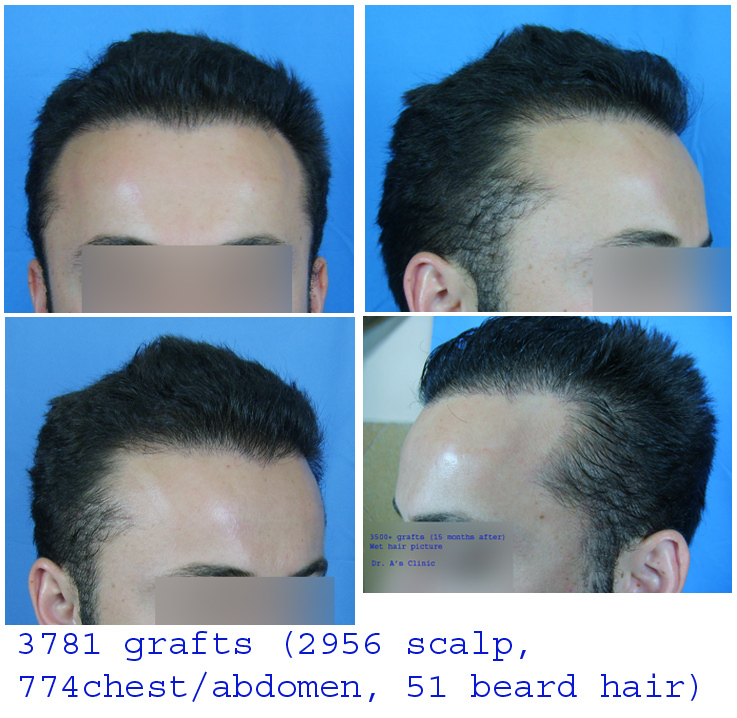 Moreover, posting a wide variety of pictures help the patient get a better idea of the final result. Looks very natural. Great work. » More pictures to follow. I love this style. Its amazing how good and liberating the buzz cut is. I hope stars like Aamir Khan make the buzz more famous. Needless to say its Excellent work as usual. I love the hairline and the way the temples have been closed. Congrats. Dr. Arvind you did it again! This guy should be very happy. » Dr. Arvind you did it again! This guy should be very happy. yep, he’s probably the most consistent doctor around besides Hasson and Wong. » » Dr. Arvind you did it again! This guy should be very happy. It does look very nice even after shaving his head, i couldn’t tell this is a HT.